We want to add that Bonaire may be the best place in the world to learn for beginners – including children and seniors! The shallow, warm flat water makes for ideal painless learning conditions. At the same time Bonaire is home to a disproportionate number of ranked freestyle windsurfers. It’s the winter headquarters of many professionals in the sport from around the world. They come to the island to train year after year – and many professionals and amateurs alike have stayed with us at breezybonaire! The wind on Bonaire varies with the time of year and sometimes with the luck of the draw. 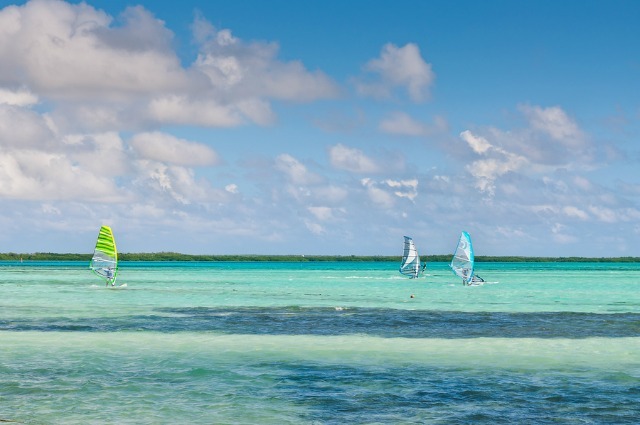 When you rent gear at either Jibe City or Bonaire Windsurf Place you can change your gear as the wind changes completely stress free and almost instantly. No rigging, no hassle. Lessons at both locations are a must for beginners. For those perfecting their tacks and jibes, learning to get planing or working on tricks please ask us for more information and please do keep taking lessons. We love to watch you improve your skills on the water! 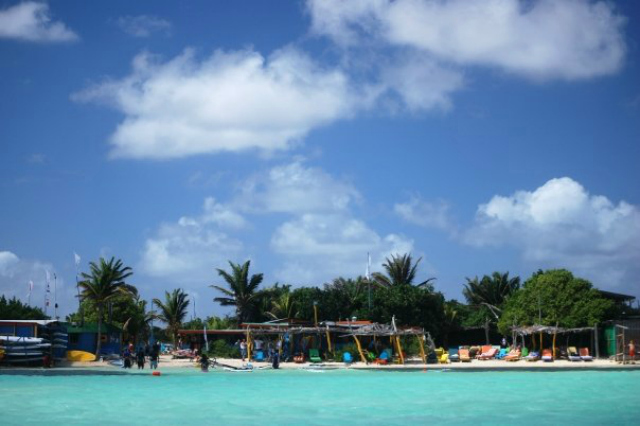 Sorobon Beach Resort, Jibe City and Bonaire Windsurf Place are all right here! The picture above is not a swimming pool! It’s actually the view from where a beginner would start their windsurf adventure in Lac Bay. It was taken in waist-high, warm water. Jibe City, pictured here, rents out windsurf gear and provides lounge chairs, shade, lunch and pure bliss. Rental gear and similar amenities are also available at the equally wonderful Bonaire Windsurf Place located just next door. Ask us about lessons and rates. We thought you may enjoy a little preview of what it’s like to feel carried away by the power of the trade winds of Bonaire and your own skills. Or, if you’ve been here before this will ignite some fond memories. 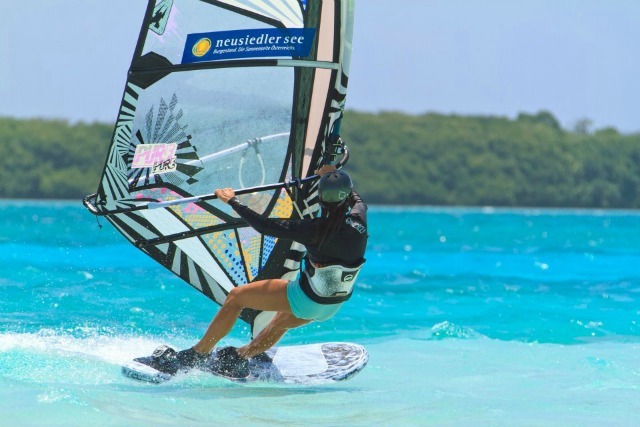 It is entirely possible to learn to windsurf as seen here by taking classes and clinics and getting down to Bonaire on a regular basis. The only thing missing from this video are flamingos flying overhead. And that DOES happen! Enjoy the ride.